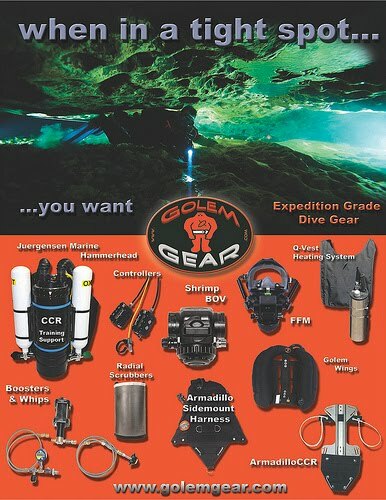 Southern Cross Divers is pleased to announce that we have secured access to the Golem Gear range of products. Golem Gear as a company is not only a manufacture but also a third party retailer of a large range of diving products from many and varied suppliers. SXD has already long established links with many of these product suppliers and as such can offer the same products direct or via Golem Gear. Please simply email us with what ever product you require and we will supply either direct from Golem or from our inventor of items in stock. We will of course match their price at all times.